With the number of energy providers available to choose from, choosing the right supplier can seem a little daunting. Fortunately, with our expertise and assistance, we’re able to help you find the best value energy tariff for your business. To get you started, we’ve put together this guide to the range of energy suppliers available in England. How many energy suppliers are there in England? The main energy suppliers in England are referred to as the ‘Big Six’. In total, the Big Six supply 90% of the entire UK population. Even though their dominance of the market might suggest it’s sensible to opt for a Big Six supplier, it’s still absolutely worth exploring the tariffs available from smaller suppliers who can offer you a fantastic deal on your energy. For this reason, we compare the following smaller suppliers to make sure you’re not missing out on any lesser known energy tariffs. Get in touch or visit our suppliers’ page to learn more about our range of energy suppliers and discover what they can offer your business. Who is the best energy supplier in England? With so many energy providers available, all able to provide your business with Gas and Electricity, it’s often hard to distinguish which one is going to provide the best prices for your business energy needs without spending many hours or even day contacting each one individually. Our customers have consistently rated our services on Trustpilot with 5/5 Stars. Something we are very proud of and work hard to maintain. If you’d like to know how we manage to achieve a 5-star Trustpilot rating from businesses we’ve helped to secure a great value energy tariff. 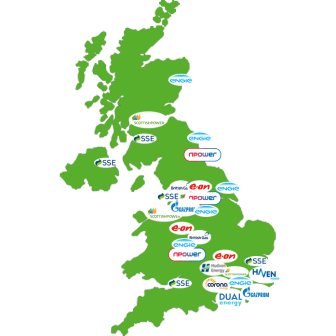 Take a look at our customer case studies page. Within the UK, there are businesses that exist to encourage competition and transparency within the energy market as well as drive down prices for consumers. These businesses are called third-party intermediaries. By offering impartial advice on the range of tariffs available in the market, they ensure that providers are competing fairly against one another to the benefit of the customer. Exchange Utility is an impartial comparison service supported by experienced energy professionals who can advise you on the best tariff options to keep your business, gas and electricity costs down. 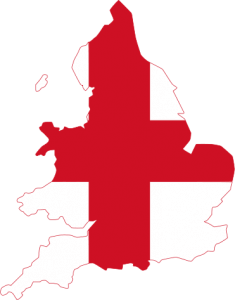 Who regulates energy suppliers in England? Ofgem is the main energy supplier regulator within England and the United Kingdom. They work to help energy consumers resolve supply issues as well as provide relevant industry information to help consumers make informed decisions regarding their energy supply. If you want to know more about Ofgem and how they can help you to resolve an issue with your supplier, visit the OFGEM website.